Upload photos to Panoramio straight from your iPhone! Panoramio is a community of people who enjoy sharing photos of places with the rest of the world. These photos are surfaced in Google Earth and Google Maps as photo layers, where millions of users can see them. 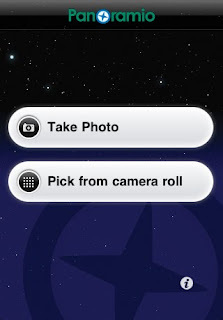 Panoramio has just launched an application that makes it easy to upload photos to Panoramio straight from your iPhone. Read about it on the Panoramio Blog. Also, we're working hard on the Android version, so keep an eye out for it! Hey, don't forget a Symbian/S60 client as well! We really need an official Android app!